Spindrift 2, the world's largest racing trimaran, skippered by Yann Guichard, is currently racing on the Jules Verne Trophy round-the-world crewed record attempt, with a time to beat of 45 days, 13 hours, 42 minutes and 53 seconds. After rounding the Cape of Good Hope, Spindrift 2 entered the Southern Ocean this morning. Next, the maxi-trimaran has to negotiate the Indian Ocean, an ocean renowned for being the toughest, most extreme and the most dangerous, although it is the shortest section of this round-the-world voyage (at approximately 5,000 miles). 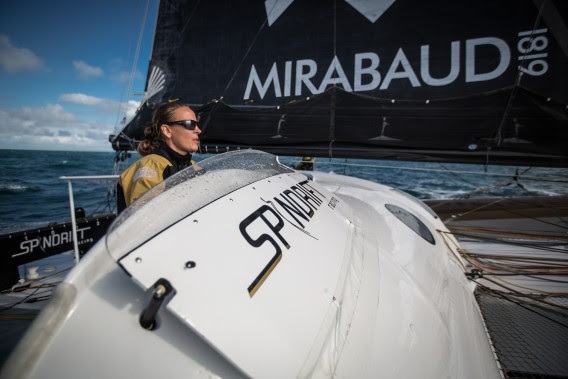 Dona Bertarelli talks of the weather conditions and their entry into the Southern Ocean in a exclusive interview in English.